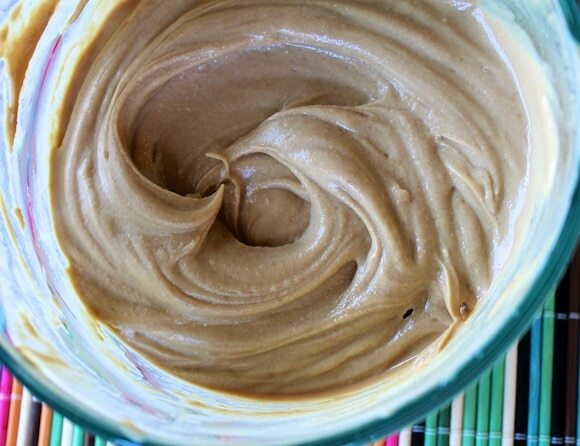 This vegan peanut butter soft serve recipe is such an easy and delicious way to enjoy dessert. 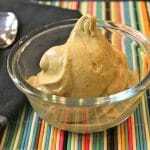 So how did I make my Peanut Butter Banana Soft-Serve? 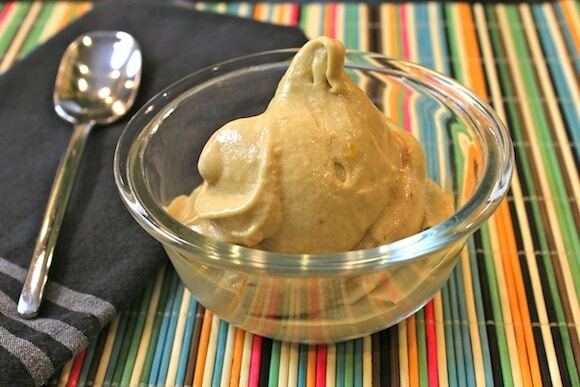 It’s so easy, just place two frozen bananas, one cup of frozen mango chunks, two tablespoons of peanut butter, 1/4 cup of non-dairy milk, a splash of vanilla and one teaspoon of carob powder (optional) in a food processor, and run until smooth. Place all ingredients in a food processor (not a high-speed blender) and run until smooth. Enjoy immediately. It occurred to me today as I was heating up water that fearing the pressure cooker exploding is much like my fear that the teakettle will explode lol. I admire you for making more space in your life for your blog. I often find myself thinking how I can better rearrange and time manage so I can reach my humble audience more often. 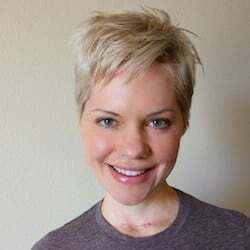 It’s no secret- the best blogs have owners who blog often, so kudos Carrie! I really enjoy reading your blog. Thanks for all the effort you put into it. My question is–what is the best pressure cooker to purchase? I have one but there are no speeds on it, just amount of time. When I cook beans I don’t even pre-soak because the pressure cooker cooks them in 4 minutes. Hi Monica! Thanks for reading and for the nice comment. To be honest, I can’t recommend an exact pressure cooker right now because I’m such a beginner. I would advise you to get an electric one (as opposed to stove top) and spend about $60-75. But, it sounds like yours sounds like it’s just fine for what you need so you probably don’t need a new one. I am curious about what program you are in right now (school-wise). I am a nurse with a BSN and am very interested in Public Health and Nutrition. I would love to become a R.D. Are you in two separate programs? Just curious. Any details would be much appreciated. Hi Courtney! My MPH program is through the University of Massachusetts, Amherst, and the RD program is thought the University of Northern Colorado, both online. Let me know if you have any other questions, I’d love to help! Doh! I didnt even notice the date. I am SO sorry about that! Anyway, I hope you are doing much better now. I love LA! I went to all the raw restaurants in the area and was in heaven 🙂 Will definitely let you know when I return. Would be fun to hit up KindKreme and other places together! No problem, Heather, condolences are always welcome when it comes to losing a parent. I am doing much better now, thanks so much for your sweet note. I have to admit I was super leary of using frozen mango but it came out delicious!!! I recently bought a pressure cooker and use it for everything from stocks to stews to braises. Before buying one I didn’t think I needed it but after buying one I just fell in love with mine. If you’re thinking of buying one but can’t decide which one to buy, go to this site to read reviews. They do a good job explaining the pros and cons and tell you which one would suit all budgets.